Keto is short for the ketogenic diet. The ketogenic diet is essentially a very low carb, moderate protein, and high fat diet that allows the body to fuel itself without the use of glucose or high levels of carbohydrates. When the body is in short supply of glucose (which come from carbs), ketones are made in the liver from the breakdown of fats through a process called ketosis. 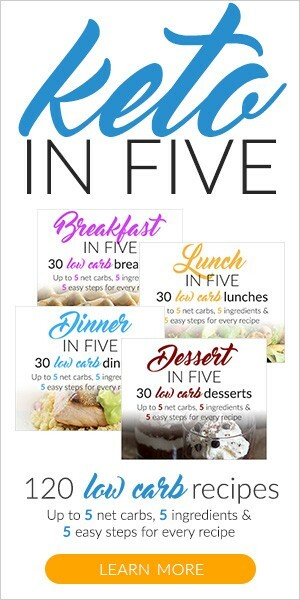 With careful tracking, creative meals, and self control, this diet can lead to weight loss, lower blood sugar, regulated insulin levels and less hunger and controlled cravings for sugars and carbs. Before I started keto I was eating a very high carb diet: pizza, pasta, pastries, the works. Because of this, my body would take these carbs and turn them into glucose to power itself. Now that I’ve cut all that out, my metabolism uses up fat instead. Need some extra help? 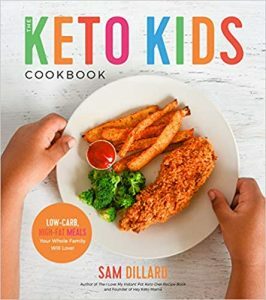 Click here to get the Full Perfect Keto Kickstart FREE! Typically a ketogenic diet restricts carbs between 0-50 grams per day. I started with a goal of under 20 carbs per day to help stick to healthier foods and reduce my cravings. If you’re interested in going keto full-time, be sure to consult your doctor. I am not a medical professional, nor do I offer any medical advice. Macronutrients, or macros, are the three ways our bodies produce energy. If you’re following lazy keto, this probably isn’t top of mind for you, but typically on the ketogenic diet it is very important to track how many grams of each macronutrient you consume every day. Remember earlier when I said Keto is a Low Carb, Moderate Protein, High Fat diet? Probably the most popular way to track your macros is the MyFitnessPal app. You can download it to your phone or use it at myfitnesspal.com. To get the specifics on what your calorie intake and specific, personalized macros should be, I’d always recommend using a Keto Macro Calculator like this one. How Important is it to Hit my Macros Every Day? Carbs are a limit. Don’t go above your allotted daily net carbs. Just don’t do it. I’m a supporter of tracking macros, but if you don’t want to go all in, most resources will say if you stay under 20 net carbs each day, you’ll be in ketosis. Protein is a goal. This is the most important macro to hit. If you’re losing weight, you want to make sure you’re eating enough protein so you’re not also losing muscle. Fat is a lever. If you’re eating a ketogenic diet, fat is designed to keep you full. If you’re hungry, go ahead and eat that healthy fat. If you’re not hungry, you don’t have to hit your fat macros. This is why I have a hard time with fat bombs. The may be delicious, but I see a lot of people eat them because they think they have to. Most people following Keto opt to track net carbs instead of total carbs. Net carbs are total carbs minus dietary fiber minus (some) sugar alcohols. Net is generally allowed because of how your body reacts to the fiber and the sugar alcohols. On Nutrition Labels, the grams of dietary fiber and sugar alcohols are already included in the total carb count. But because fiber and (some) sugar alcohols are carbs that your body can’t digest, they have virtually no affect on your blood sugar levels and can be subtracted in most cases. If your food item has 10 grams of carbs for one serving, 6 grams of fiber, and 2 grams of erythritol (my favorite natural sweetener), your food item has 2 NET carbs per serving. I would never recommend cheat days because I believe the keto diet is about changing your relationship with food. A lot of the urge to cheat often comes from emotional eating or lack of willpower, and I see so many people fall of the wagon and never get back on. If you did cheat, or are going to…remember this. You’ll likely feel awful the next day because of how your body will react to carbs after getting used to not having them. The most important thing is to get back on the wagon as quickly as possible, and don’t GIVE UP just because you SLIPPED UP. To put it simply, supplements are not necessary. Keto is free. You don’t HAVE to buy the exogenous ketones, the MCT Oil, or the collagen though they may help you with your journey. The last thing I want you to do is spend money you don’t have buying things you don’t necessarily need. 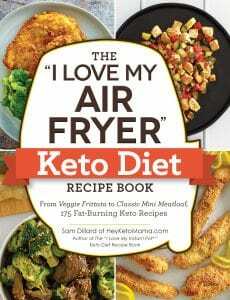 That said, I do get requests for some of my favorite keto-helpers, and I’m really happy to promote Perfect Keto (full disclosure: I have an affiliate relationship with the company) because they’re a quality company that knows their stuff. I’m a huge fan of their MCT Oil Powder, Collagen and Micronutrient Greens. Check these out and when you’re ready to order, use the code HEYKETOMAMA for 15% off!